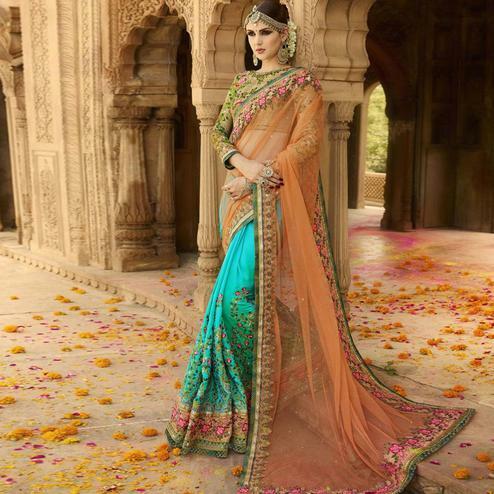 Sarees have been evolving with time. 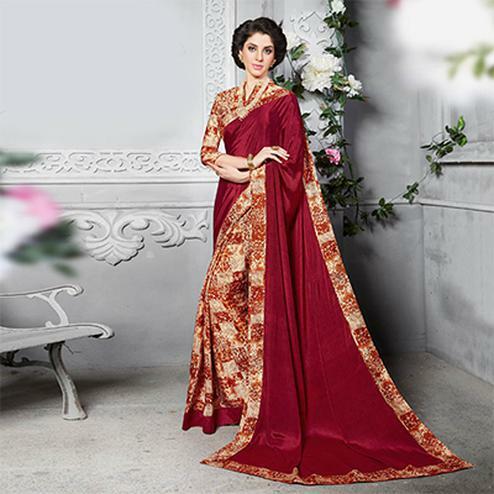 The patterns, designs, fabric, colors, style of draping all of it have been changing gradually. 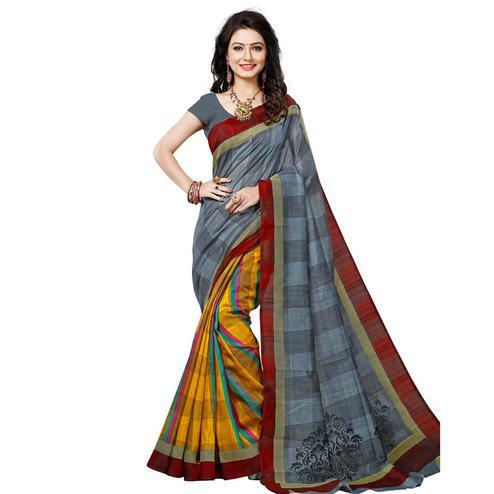 One of the styles, which really caught the eye in past few years, is half and half saree. 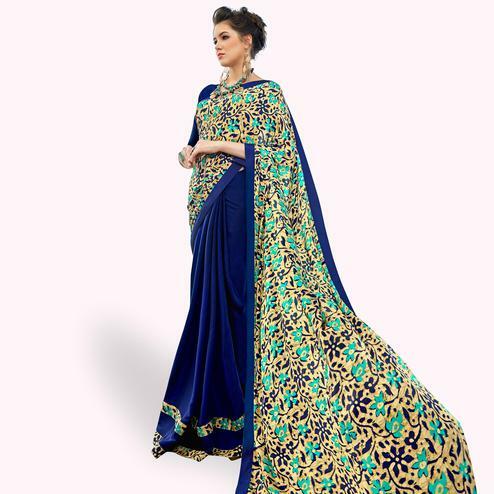 Using two different colors at the top and bottom is something so unique and elegant. 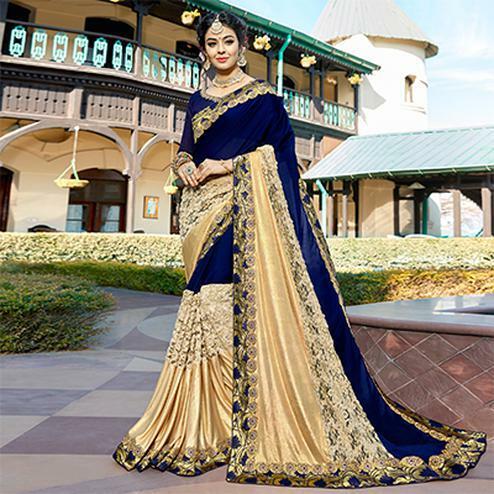 The bright colour combinations helps you shine and mesmerize during the summer days whereas dark colour combinations helps you sizzle in the parties. 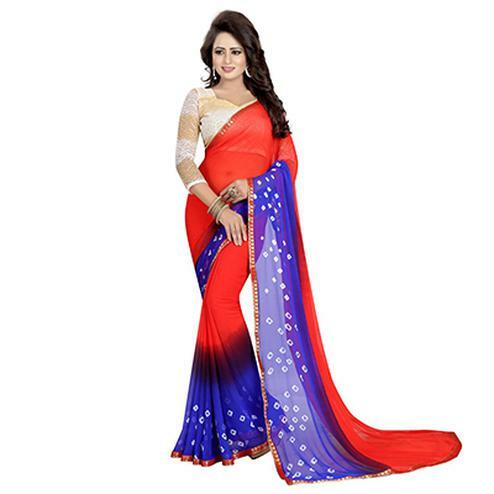 Check out the latest half and half saree collection at Peachmode with jaw-dropping prices. 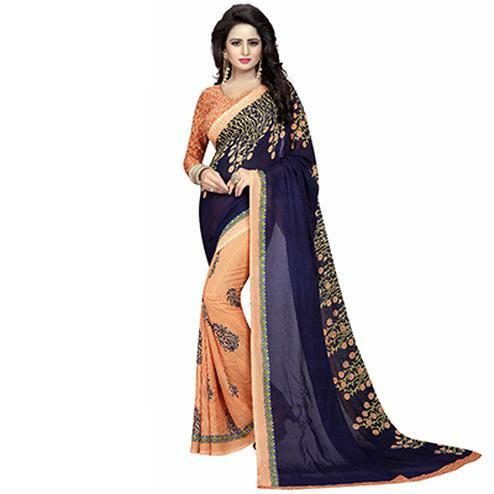 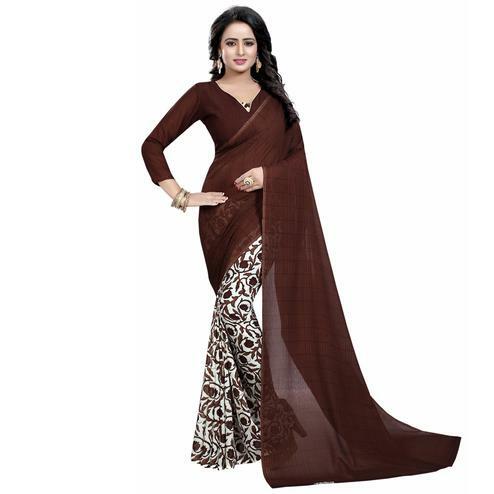 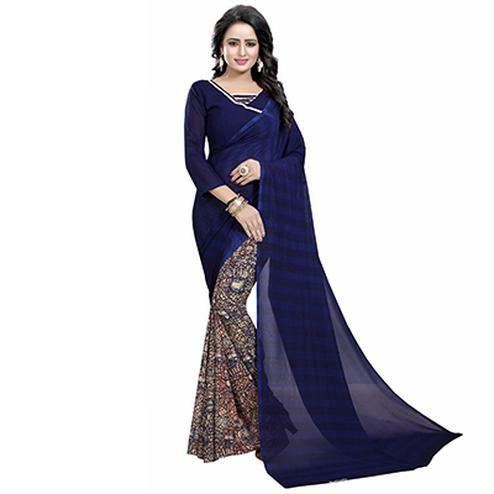 Step inside Peachmode and find numerous new saree designs in this category. 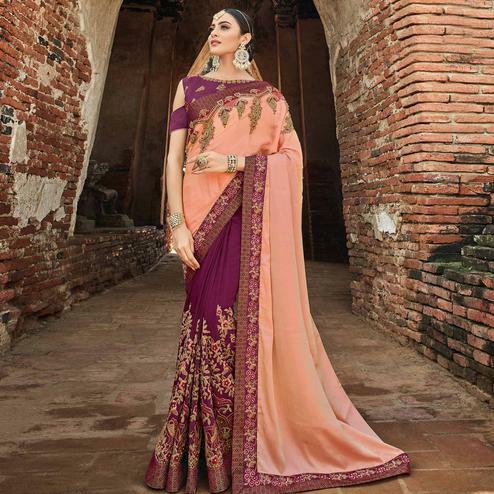 You can find half and half sarees in number of fabrics from georgette, art silk, cotton, chiffon, banglori silk and so much more. 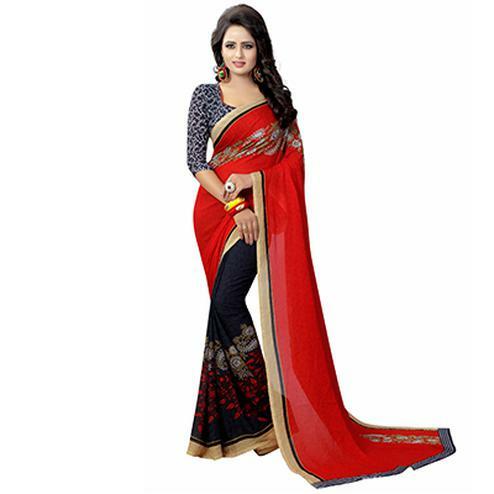 It also comes in variety of work such as embroidery, polka dots, weaving, zari etc. 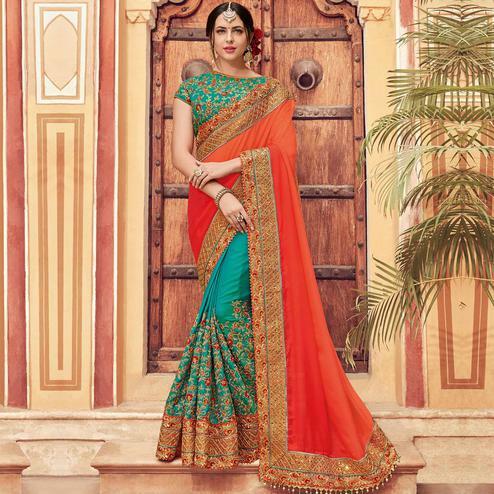 The kalis styled half half saree, it is a cut pattern form used to bring a lehenga like look extensively goes in weddings and events. 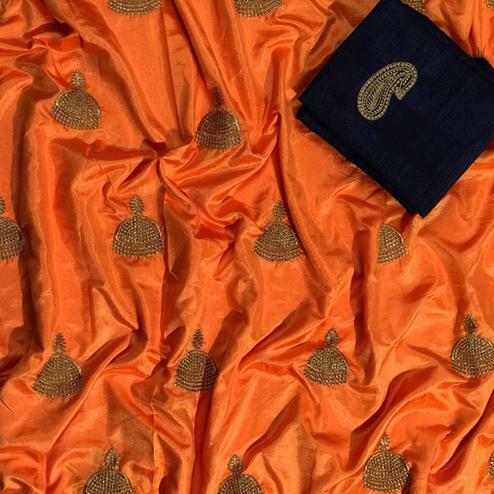 Panelled half and half saree, in this pallu is kept in piece and the lower drape is styled with horizontal panels in different fabric or colour concepts. 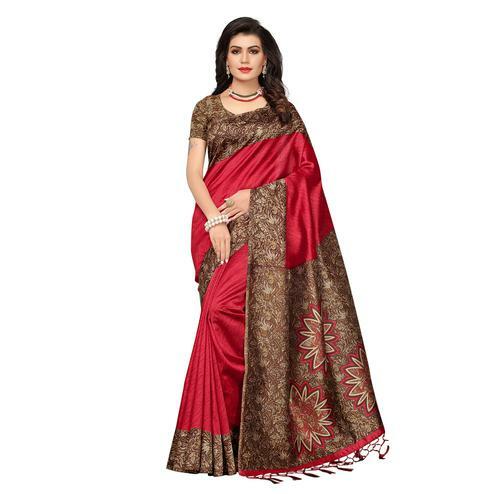 Cutwork concept half and half saree, in this cutwork is used with pretty motif designs in intricate or elaborate manner and use the fabric at the whole pallu section or a part of it. 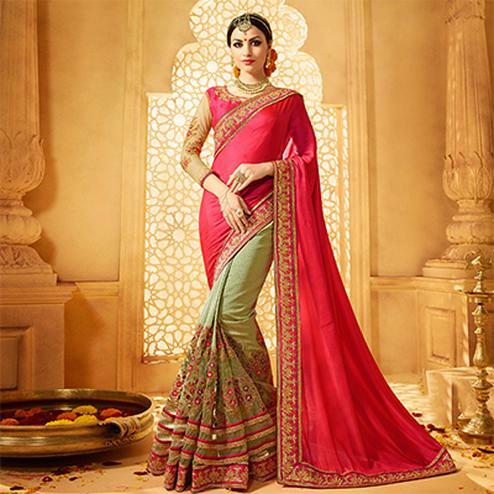 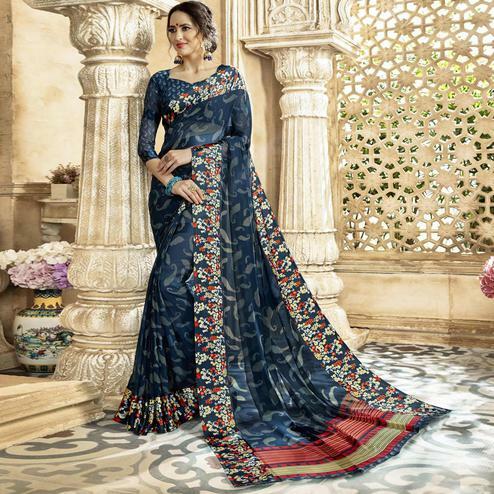 3 Sectional half-half saree, the theme of using three fabrics or colors or styles in three sections of the same one saree. 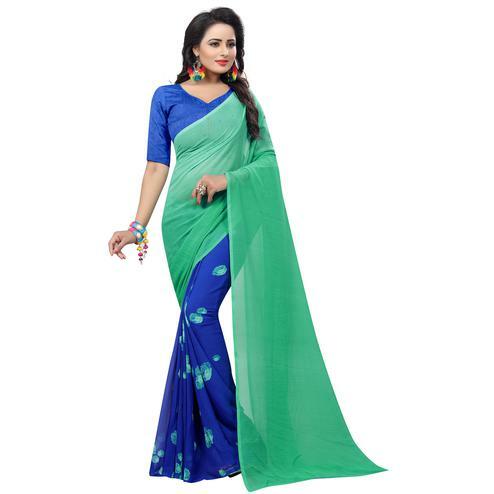 These concepts have been a new revolution in fashion and have been accepted and loved worldwide.